The game's designers hope making the issue fun will help people learn about it. Imagine it’s the year 2050, and you’re the city planner of an island that’s threatened by sea-level rise and storms. That’s the scenario in “Game of Floods,” a board game in which students and community members confront these real climate change risks. That’s Alex Westhoff, with the Marin County Community Development Agency in California, which developed the game. Players must decide how to protect the island from random floods and ever-rising sea levels. Some players decide to move their roads out of vulnerable areas like wetlands, while others choose to protect their buildings with seawalls. For every choice, there are costs – some financial, some social, and some environmental. Westhoff says, so far, more than a thousand people have played Game of Floods. And anyone who wants to try it out for themselves can download the board for free, then print it and play. 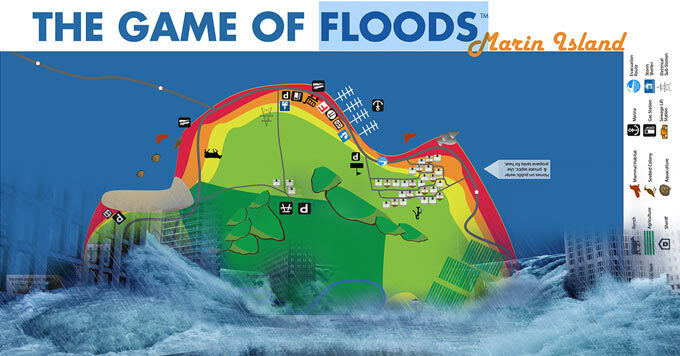 Marin County "Game of Floods"